One problem with this expansion is that as currently planned, the Northern California regional rail network will continue to consist of separate operators with no coordinated fares, schedules or branding. In fact, it will go from three to four intercity operations (not including the local operators such as BART). 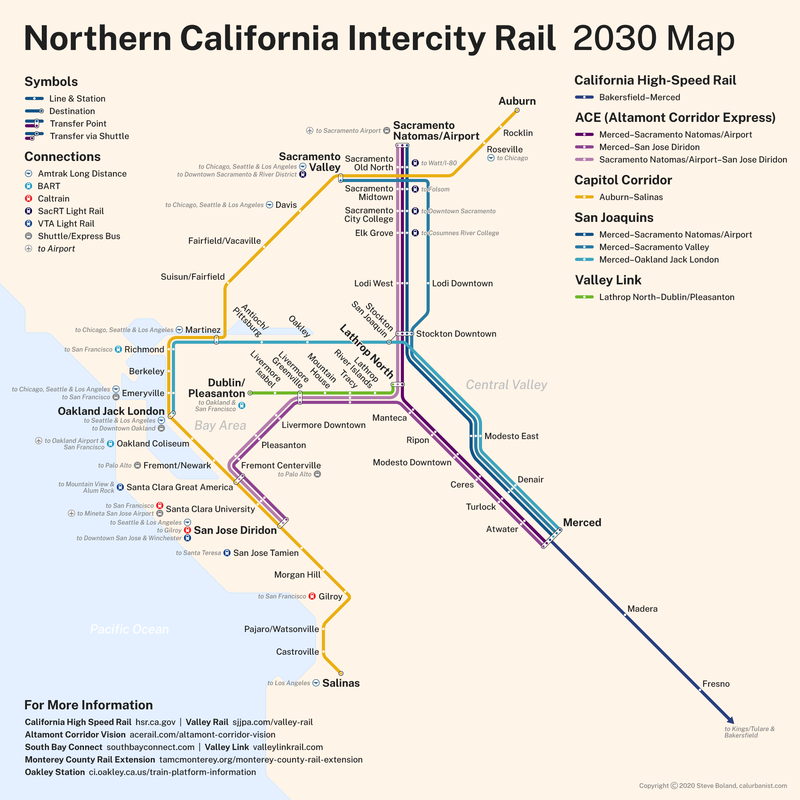 But at the behest of the High-Speed Rail Authority, the existing operators have in the past at least met to discuss a “Northern California Unified Rail Network.” Presumably, this would mean uniting their maps (1, 2, 3, 4). The typeface, appropriately, is a generic (or universal?) one, Open Sans.